At a reading in New York last year I met Hilary Davidson. I was already familiar with Hilary’s work having read her short fiction; her chilling story Beast had won an award only days before. 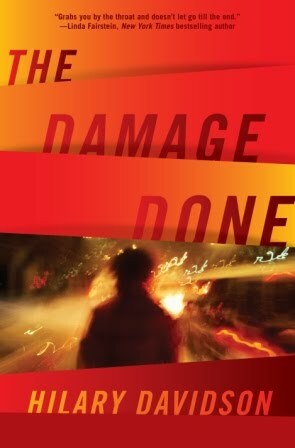 Hilary’s debut novel The Damage Done was published this week and is in stores now. I thought I’d mark the occasion by conducting the first-ever VKDC Q&A. My thanks to Hilary for playing along. Q: Tell us about The Damage Done. Hang on, that’s not a question. (Sorry, it’s just ... I don’t normally do this.) Let's try, what can you tell us about The Damage Done? And who is this ‘us’ I keep referring to? I think “What can you tell us about…” is what every interviewer is supposed to say. It means, “Hey, buddy, I’m not being nosy. Invisible people want answers!” I’m honored to be your first interviewee, you know. And since you asked about my book, I don’t have to accost you, like I did to two strangers in an elevator today. The Damage Done is my first novel, and it’s about a travel writer, Lily Moore, who is called home to New York when she’s told that her sister, Claudia, has died, only to find that the body belongs to a woman who’d stolen her sister’s identity and that Claudia is missing. Lily and her sister haven’t spoken in months — partly because Claudia’s a drug addict and something of a con artist, and partly because Lily can’t cope with Claudia unless she thinks she’s fixing her problems for her. But when the police start to suspect that Claudia’s responsible for the death, Lily instinctively feels she has to find her first, because she still wants to protect her sister. 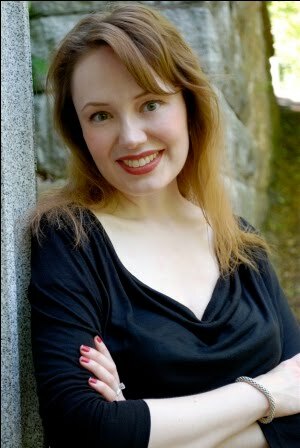 Q: Your protagonist Lily Moore shares your background as a travel writer. Did any of her experiences come directly from your life? The professional background, definitely. Not only because we both write about travel, but because we’ve traveled to some of the same places, like Thailand and Turkey. But Lily’s career has been more exotic and glamorous than mine. My books have been about Toronto and New York, my hometown and my adopted home, while Lily is on the road most of the time. She lives in Spain, which makes me just a little bit jealous of her. Our personal lives are very different: I don’t have a sister, though I do have two brothers. I used to think about trading them in for a sister. Lily’s single and I’m married. When I started writing the book, I was wary about having her be my alter ego, especially since we share the day job. When I pictured Lily, Ava Gardner came to mind, so I put a print of Ava on my desk. I ended up thinking of Ava as Lily’s role model. Q: How did travel writing prepare you for novel writing? Were there any habits you needed to break? The worst habit was probably my attachment to deadlines. By that, I mean I wouldn’t do anything without a deadline. Also, I found it hard to take any time away from paying work to write fiction. When I started freelancing, I was single, and “time is money” was tattooed on my brain. But once I decided to really work on fiction, it was addictive. Travel writing was helpful in terms of pacing my work, though. I’ve written 18 nonfiction books, and the one thing I know is if you write a thousand words a day, you will have a book in three months. Q: What’s your favorite place that you’ve written about as a travel writer? What remains on your list of places you would love to write about? It’s so hard to pick one. The first travel story I ever wrote was about a New Orleans cemetery, and it’s still one of my favorites. Easter Island was great to visit and write about, and so were Thailand and Peru. The list of places I’d love to write about is long. Cambodia is at the very top of that list. Q: You wrote the Frommer’s Guide to your birthplace of Toronto. On a whirlwind tour of the town, what are the must-sees? What’s the city’s best-kept secret? I love telling people about the Malcove Collection, which is hidden inside the University of Toronto’s downtown campus. It’s this incredible little art gallery that’s open to the public but is a secret… or at least it was, until I started blabbing about it. It has everything from Lucas Cranach’s 16th-century “Adam and Eve” to Byzantine artifacts. On a whirlwind tour, I’d start at Casa Loma, which is perched above the downtown core and gives you a truly gorgeous view of the city. I can’t tell you how much nicer it is than the view from the CN Tower, which is what everyone goes to instead. It’s a castle dreamed up by a crazy rich guy who lost all his money building it a century ago, so it’s got that going for it, too. I’d also see the Art Gallery of Ontario, Kensington Market, and Chinatown. One of Toronto’s real virtues is its downtown parks. One of my favorites is Trinity Bellwoods, where you can watch for the mutant albino squirrels. At the end of the day, I’d hit Ossington Avenue for its fabulous cocktail lounges. Q: You broke through as a fiction writer with short stories that had nasty kicks to them. Can you go to darker places in the short form? That’s definitely been true for me. When I start a short story, I have a scenario in mind, and the characters are there to play it out. “Insatiable,” which ran in Beat to a Pulp and got the Spinetingler Award this year, would be a good example. I had an image in my mind of a man watching his wife at a party. He sees her check out other men and he knows that she would soon be sleeping with someone else. Everything in the story came from that initial image. I tend to think in scenes, almost like there’s a movie playing in my head but I can only catch glimpses of it. That scene made me think about what kind of man would watch his wife do that. Why is he accepting that his wife cheats on him? Everything in the story came from answering that question. Several of my short stories have been set inside the minds of really sick, depraved people, though the reader doesn’t necessarily realize how twisted they are in the beginning. But I know, and there’s only so much time I want to spend in their heads. That said, The Damage Done is a book with a dark heart. But it’s not dark because Lily is actually a serial killer — she isn’t! Hopefully no one will be disappointed by that spoiler. Q: What’s the novel that truly got you hooked on crime fiction? I discovered William Golding’s Lord of the Flies when I was 12. That book made a huge impression on me. It’s a brutally dark vision of human nature. I’ve re-read it several times, and it still hits me hard. Q: You’ve appeared in Needle, your debut novel is called The Damage Done, and you’re Canadian. How big an influence is Neil Young on your life? Huge! He’s such a brilliant lyricist and musician. The title of my book is taken from his song “The Needle and the Damage Done.” When I wrote to Ken Bruen asking him to read the book, Ken asked me if the title was a Neil Young reference. He was thrilled that it was. When you read Ken’s books, there are all kinds of Neil Young mentions in them. I guess we’re members of the same cult. Baseball Q: Are you a Toronto Blue Jays fan? If so, isn’t it hard to be one while living in New York City? How tough is it to root for one of the “other” teams in the same division as the Yankees, Red Sox and Rays? I am a Blue Jays fan, and when I moved to New York in 2001, I decided that I had to become a Mets fan, since there was no way I was going to root for the Yankees. Truthfully, I’m a lazy fan who rarely goes to more than one game a season, so my rooting for anyone isn’t very impressive. Movie Q: You’ve spoken elsewhere about your love of film noir. What’s your favorite of those films, and why? It’s so hard to pick a favorite! For a long time it was The Lady From Shanghai because the husband and wife at the center of it are so irredeemably evil. It’s like an inverted Beauty and the Beast, with them dragging each other — and other people — to their doom. But when I was writing The Damage Done, I watched every Ava Gardner film I could, and I fell in love with The Barefoot Contessa. I’ve never heard it talked about as a noir film, but it really should be. The story is about how we can never escape our essential natures, even if that leads us down a dark path. Humphrey Bogart and Edmond O’Brien are brilliant in it, too. Cocktail Q: You’re in a bar. What do you order? Since The Damage Done is being released this week, I’m going to say a Kir Royale. Nothing else says celebration quite like that!